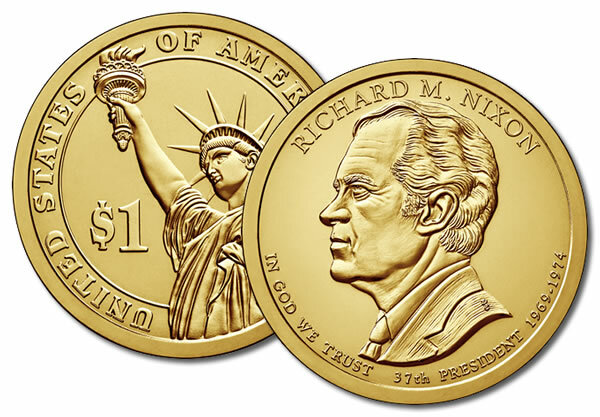 Uncirculated P Mint Version (Philadelphia Mint) - The first Presidential Dollar Coin of 2016 featuring our 37th President, Richard M. Nixon, was released on February 3, 2016. Richard Nixon served as U.S. President from 1969 through 1974. Previously, Nixon served as Vice President under Dwight Eisenhower.